A global “stroke epidemic” is looming – growing rates of diabetes and obesity across the world coupled with lack of exercise have led to the number of strokes afflicting people aged between 20 and 64 rising by a quarter in just 20 years. In research lead by Professor Valery Feigin, of AUT University in Auckland, New Zealand the results are sobering: strokes suffered by the young now make up 31% of the world total, compared with 25% before 1990. Even among those aged 20 and under, the researchers found that there are more than 83,000 victims each year. The economic impact of stroke too is staggering. In the EU27 countries, the annual economic cost of stroke is an estimated Euros 27 billion, in the US the estimate is around $80 billion. Professor Feigin confirms that the problem is very serious: “The worldwide stroke burden is growing very fast and there is now an urgent need for culturally acceptable and affordable stroke prevention, management and rehabilitation strategies to be developed and implemented worldwide.” For these reasons and the expense of current stroke treatments it is paramount that new treatments for stroke are developed. Although advances have been made in the treatment of stroke including thrombolytic drugs such as Alteplase they have a modest window of utilisation and are known to cause excessive bleeding in patients and as such are not applicable to many patients. While these drugs can spare peoples’ lives they do not usually prevent disability from strokes. Even with the proper facilities 60 % of those who suffer a stroke die or become dependent. One of the key factors in stroke treatment is time. The earlier the stroke is identified the better the patient outcome. Recognising this fact, the British Heart Foundation (BHF) in the UK are developing a new patch costing as little as 39 pence (or 51¢) which could revolutionise stroke treatment. The active ingredient is the compound Glyceryl Trinitrate (GTN), which relaxes blood vessels lowering blood pressure and improving blood flow in the brain. This greatly reduces the damage caused by a stroke. A small trial of 41 patients in the UK showed that attaching the patch to the back of a patient while they were travelling to hospital halved the death rate from 38% to 16%. As a result, the BHF has funded the University of Nottingham in the UK to trial the patch on patients and chart their recovery over 12 months. Other innovative approaches for treating stroke are being developed in Australia. Researchers from the University of Queensland and Monash University have discovered a small protein which can protect the brain from stroke-induced injury. Most thrombolytic drugs are only able to be used within three hours of a stroke occurrence. If that window of treatment could be expanded and brain cells could be protected from hypoxic conditions regardless of blood flow, significant improvements in patient survival and long-term recovery become possible. Professor Glenn King from the Institute for Molecular Bioscience at the University of Queensland said the small protein -which is derived from the venom of the funnel web spider- showed great promise as a stroke treatment. Also, being developed by Monash University in Australia is a new thrombolytic drug with great therapeutic potential. Dr Christoph Hageymeyer, group leader of the ABCD’s new nanobiotechnology laboratory, said this novel recombinant microplasminogen (mPlg) had shown remarkable safety and efficacy in preclinical tests and could potentially overcome the limitations of other thrombolytic drugs. The molecule has been designed to be activated by the enzyme thrombin effectively co-opting the body’s own coagulation system to dissolve the clot. The drug named SCE5-HtPlg was successfully tested in preclinical models for acute blood clotting factor and for lung embolism. ‘We showed that you could give it at a very low dose, that it’s very efficient, and we saw no side effects,’ he said. As time is a critical factor, all these new advancements are good news for patients and healthcare providers. 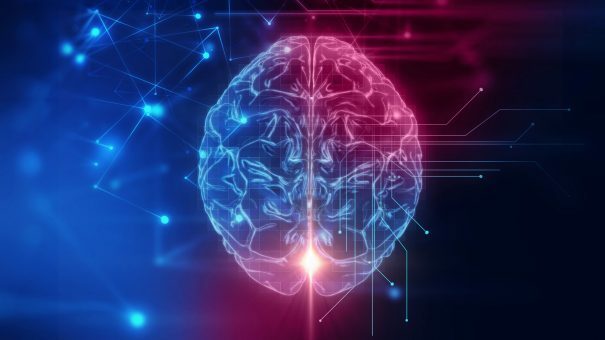 New drugs which can prevent hypoxic cell death in the brain such as the promising Hi1a protein could make recovery from stroke the norm for many patients. Having an extended window of treatment means that more lives could be saved especially those from remote rural areas. In the future Hi1a could possibly be administered pre-emptively as a routine medication to protect patients from stroke damage. Additionally, SCE5-HtPlg has the potential to solve many of the problems with current thrombolytics such as Alteplase by minimising side effects and broadening the number of patients which can qualify for this type of treatment. The repurposing of GTN, an angina drug for stroke, is also a creative and inexpensive way to radically decrease the death rate without having to expend vast resources bringing it to market. This is a practical solution which could be implemented readily and cost effectively. If these promising new treatments succeed in clinical trials the prognosis of many stroke victims will be set to change radically for the better.